Welcome, judges, to Part 2 of our special feature honoring top regional recipients from Exemplar Wave 13! We asked them “What are some of your favourite judge calls or interactions with players?” Part 1 can be found here. L3 Dustin de Leeuw of the BeNeLux region received recognitions for areas ranging from a deep conversation about the state of the Judge Program to the professionalism he displayed during a call at GP Amsterdam. “As always, it’s the people that make it tick for me. 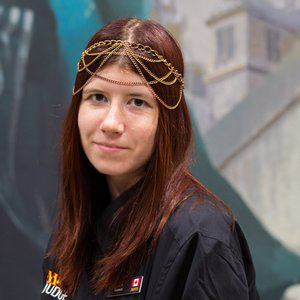 So my favourite interactions with players typically take place not inside Magic venues, but in restaurants afterwards, where we talk, laugh, share stories and experiences, and celebrate yet another great being-together during and after a tournament. I’m grateful for the many friends and acquaintances I have gathered! Some calls are more impactful than others, and sometimes you, as a judge, can really make the difference for a player. Usually not by giving them perfectly correct technical information, but by making a personal connection. 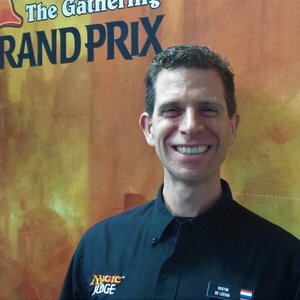 Recently at GP Amsterdam, a player lost one of their cards to an previous opponent’s Oblivion Ring and quite panicked. We unsuccesfully tried to find the opponent and the card, then went to the dealers together, got gifted a new copy of that card, and they could play on with a complete and legal deck again, very much relieved. That was great. I love the pre-prerelease speeches. 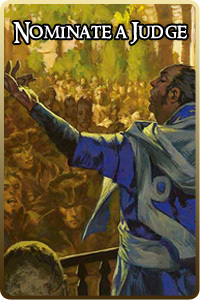 At larger and more competitive events, like PPTQs and Grands Prix, most players know the drill and just want to start playing, yet we have to go through all our standard warnings, cautions and instructions. At prereleases, I can actually inform some of the players, and I love the opportunity to chat with them and entertain them while explaining some recent rules changes or new mechanics. And sometimes I even get to dress up as a Greek god or a Pirate while doing so. L3 Julio Sosa of the Hispanic-America North region received recognitions for areas ranging from his work leading side events at GP Santiago to his mentoring a judge on how to improve in investigations. 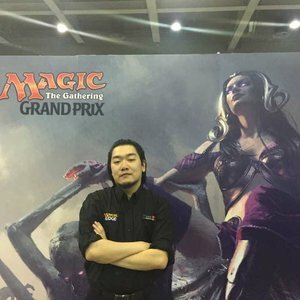 “One of my favorite interactions with players came from this year’s GP Houston. I was the Head Judge of the Sunday Chaos Sealed, and I had the idea to add some more “chaos” to the event by delivering all the instructions in Spanish, and having another judge translating the announcement. At first I had some doubts about whether that would work, so I cleared the idea with John Alderfer , who only said “sounds fun to me!” Maria Zuyeva helped me translating the announcements and, while at first players were a bit confused by me speaking only in Spanish, they started laughing when Maria started the translation, and everyone loved it. The most recent one came from last weekend’s GP Sao Paulo. 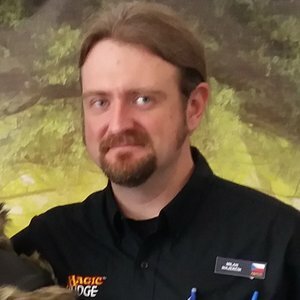 As we were pulling Day 2 decklists, a player came to the Deck Checks’ area asking for their decklist. The player in question didn’t make day 2, but had their deck stolen and wanted to purchase the exact same cards. Unfortunately, we weren’t able to find the decklist before the player had to leave, so we left the decklist at the information desk. L2 QJ Wong of the Southeast Asia region received recognitions for areas ranging from his frequent presence in various WhatsApp judge channels to his teaching someone how to be a zone leader during end-of-round procedures. 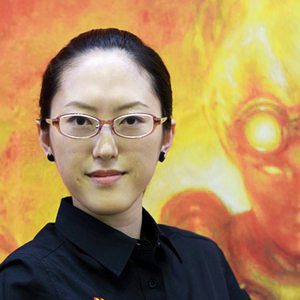 “Recently at GP Singapore 2018, I headed out for lunch and met a group of Malaysian players at a restaurant. I went to greet them and they started to ask me some questions about the side events, questions on the tournaments (how many rounds, prize wall etc) as well as some rules questions. They then offered to share their lunch with me as they had ordered too much food which I gratefully accepted! This highlighted a few things I think players really appreciate judges doing. 1) Take time to interact with Magic players outside of just answering rules questions and solving problems – be a friend, don’t be someone who only gives out warnings and game loses. L2 Henry Guille of the United Kingdom, Ireland and South Africa region received recognitions for areas ranging from an inspiring speech he made at GP Birmingham to being a proactive force of nature at his events. 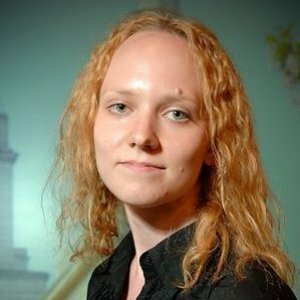 “Magic is a game about solving puzzles, and my favourite parts of being a Magic Judge are solving the puzzles that people come to you with. 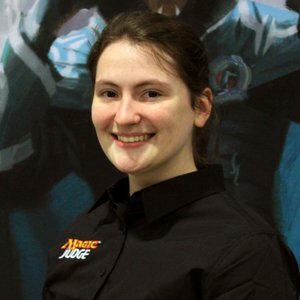 Often a player asks you a question that you can’t answer as a tournament official, or a question that has a totally different question behind it that is actually the one the player wants answered, or my favourite, a question that I have to look at the rules to be able to answer rather than just reciting what I know. I love the dance of trying to help the player get the best answer that they can without telling them something that you can’t. L2 Milan Majercik of the Europe-Central region received recognitions for areas ranging from his involvement in the Judge Tokens project to arranging the Prague mini-conference. “I love player interactions. Customer care should be the gist of our work at events. The interactions I like most are those when I can distribute some Judge Tokens! And there are many opportunities to do that. It starts with the registration to the tournament, Then it continues when I see unsuitable tokens in play and I help players to make the board state clearer by providing better ones. There are also opportunities to give tokens to players who are waiting for their tardy opponent (“here, have this 2/2 knight as an opponent in the meantime”) or waiting for a deck check to finish. L2 Tobias Vyseri of the Canada region received recognitions for writing excellent tournament reports. “I’ve already published a tournament report with my favorite judge call, the “There was a Null Rod in play and we don’t know where it went!” in the Judge of the Week article. However another good one was at a Face to Face open in 2017. The format was Modern and the new silly deck everyone was playing was Lantern Control. I walked over to one such mirror near end of round and took a seat to watch the nothing that was sure to ensue. Both players were pretty friendly and seemed genuinely excited to be playing this mirror. When one of them played a sideboard card, they would discuss it while thinking of a response and both gauge whether it was good in the matchup. The most notable thing I remember is that at some point both players, though stifled laughter, told me that they had both played multiple Pyxis of Pandemoniums this game, but had neglected to keep the Pyxis piles separate by accident, about 10 turns ago when they noticed the error. I must’ve visibly paled in the face as I tried to parse how I would fix such an egregious error, much to both players’ delight. (I swear, players seem to garner some kind of deviant glee from making judges sweat!) Before I got too flustered, they let me know they had come to a gentleman’s agreement not to crack any Pyxises this game. 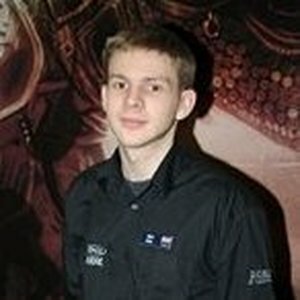 I really enjoyed watching this game because even though they were playing probably the most unfun deck in the most unfun mirror, at high tables in a Comp REL event, I could tell both players were genuinely having fun, it was goofy and silly and awesome! L3 Maria Zuyeva of the USA-Southwest region received recognitions for areas ranging from her help in setting up GP Hartford to her astute observations during a L3 panel. “This happened at GP Phoenix. I was leading Swiss sides all three days, so wasn’t really thinking about Competitive REL much, mostly focused on players’ experience. Walking back to my domain, I passed the Main Event zone, and there was a judge call. Of course I couldn’t ignore it, as there were no other judges around. I look down and see that both decks are sitting in the middle of the battlefield. Both have Channel Fireball sleeves. – Did one of you just draw from an opponent’s deck? – *pause* *laugh* would you mind if I take a picture? I find this hilarious. You can find the photo here. They both were playing Burn, and one of them had just drawn a Scalding Tarn. A fetchland he did NOT have in his 75. That’s how they figured there was an issue. Previous shuffle effect was about 7 turns ago, when they both fetched simultaneously and, apparently, swapped decks then. What did I do, after I finished laughing? I told them to figure out whose cards are whose while I go tell their HJ what happened, and this game just did not exist. Luckily they were on Burn, and not a control mirror, so this 15 min time extension wouldn’t matter. What I should have done? Consult HJ first. Or at least another L3 nearby. But I was so thrown off by this call that I just went with what made the most sense. I would still suggest the same fix to the HJ. Some argue for the Deck Problem Warning or even a Game Loss (the error most likely resulted in more than 4 copies of things in each deck). That is also reasonable. 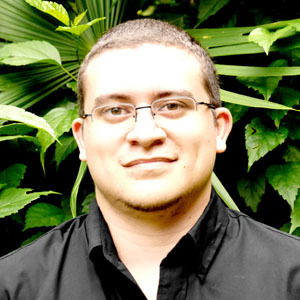 L2 Julian Morales of the Hispanic America-North region received recognitions for the work he has done with the Knowledge Pool. “In general, I like calls that involve a complex stack; I enjoy putting the objects in order and presenting them to the players. I usually carry with me a set or two of basic lands, so when I get called for a complex one, I can illustrate the stack for the players using different lands that represent the different objects in it. L2 Siyang Li of the Greater China region received recognitions for areas ranging from his enthusiasm for the Rules Comic project to his handling of an extra card investigation. Two players called me over. AP attacked with two creatures he forgot to untap this turn, and he just pushed the two tapped creatures forward and NAP acknowledged the damage. After combat, AP discovered that he a third creature lying tapped on the corner he completely forgot. Both players comfirmed that AP just forgot to untap that creature, and asking me how to deal with this should-not-be-tapped creature. This could be treated as a GRV and FtMGS without ideal fix (leave the third creature tapped might be the appropriate move). However, since both players acknowledged the game states as what it should be, I wanted to treat this situation as both players know what the right game state was and just didn’t have it presented correctly, so I just told AP to untap the creature and move on without issue any infraction. 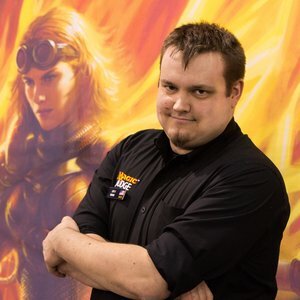 L2 Jeff Higgins of the USA-Northwest region received recognitions for areas ranging from his mastery at running PPTQ-sized events to his work as part of the Forum Moderation team. “Most of my favorite interactions with players are when players ask about rules interactions or how tournament policy works. One time, a player (we’ll call him Mishra), asked how he can answer questions in ways that step around our communication policy rules. 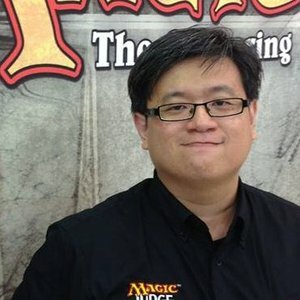 Mishra wanted to use phrases to mask exalted triggers that had resolved without committing a penalty. Another player, we’ll call him Teferi, jumped in and recited almost word for word explanations I’d given about the communications policy at previous events. 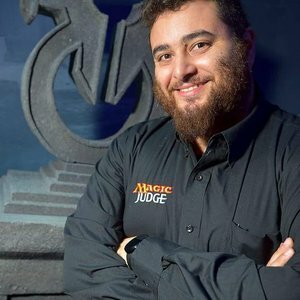 L2 Francesco Cinelli of the Italy and Malta region received recognitions in areas ranging from giving new L2s opportunities to head judge events with a veteran mentor to his proactivity during GP Birmingham. 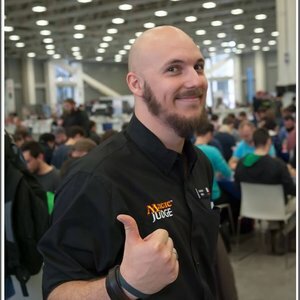 “This winter, I was the Head Judge of the King of Pauper- Milan and Riccardo Mangano (who has followed me in many of my Judge adventures) came to me with a decklist. I write a decklist but what we had in our hands was a piece of paper full of waves of ink. We could not understand more than half of the cards in the deck list and we decided to issue to the player a Game Loss and he had to re-write his decklist under the supervision of a judge. Riccardo came to me soon with a new problem: the player had dysgraphia (so writing down a decklist for him it’s a very long procedure for him) and at the end he’ll probably submit another unreadable decklist. L1 Shoko Maeda of the Japan region received recognitions for areas ranging from creating an end-of-round system to coordinating the first Kansai judge conference. “I like to work behind the scenes! For example, doing scorekeepers, distributing slips, making notices,and making simple systems. It’s rewarding and fun that making progress of a tournament smoothly. So, I’m glad to see players enjoy games peacefully. Less judge calls, happier. And I also like receiving slips from players. It tells me that the tournament is going well :). It makes me happy that players show me their triumph and enthusiasm for the next round. 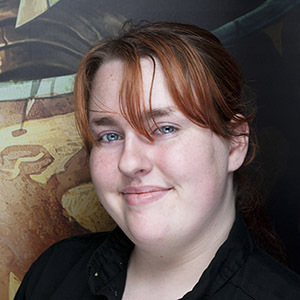 L1 Rhianna Milton of the Australia and New Zealand region received recognitions for an impressive performance on the Main Event at GP Sydney. “I’m an L1 and still learning and gaining confidence in my judging ability. I love the small interactions with players; the thank yous as you bring the slips around or collect decklists. The simple polite questions like “how much time is left in the round?” Or requests for Oracle text. I enjoy the recognition from players at my local game store; it makes me happy that new players and old players alike are comfortable talking to me and asking me questions, or calling for me during FNM. I also enjoy being on judge chat and answering player’s rules questions or gaining insight from seeing other judge’s interactions with players. L3 Meg Baum of the USA-Great Lakes region received recognitions for areas ranging from giving honest and balanced feedback about team lead candidates to serving as the voice for a head judge who had lost his. “This is the most recent one that sticks out to me. I speak a functional amount of American Sign Language. At Grand Prix Sacramento, a player was asking me a particularly difficult rules question, and she didn’t seem to be understanding me. I noticed that the player had a cochlear implant. I started to speak slower and made sure she could see my lip movements, while asking her in sign if she knew how to sign. Her face lit up and she responded yes and I used it to help me explain. She came up to me later and gave me a big hug and started crying because it meant so much to her. Congratulations to the latest wave of rock star judges! Join us next week when we have a traditional Judge of the Week profile. And as always, if there is a judge who is also doing something exemplary, please nominate a judge TODAY!